A light, free-flowing fine sugar, just right for cake and biscuit baking. Also tasty in drinks, and excellent for anything that requires a syrup or sauce. About the Producer: Craft Aid was founded in 1982 with the main aim of providing paid employment for disabled people and helping in their rehabilitation. There are currently 125 employees 40% of whom are disabled. There are departments for fair trade furniture making, pressed flower cards, hand screen-printed fair trade t-shirts and also a facility for packing sugar and tea. Made in Mauritius. 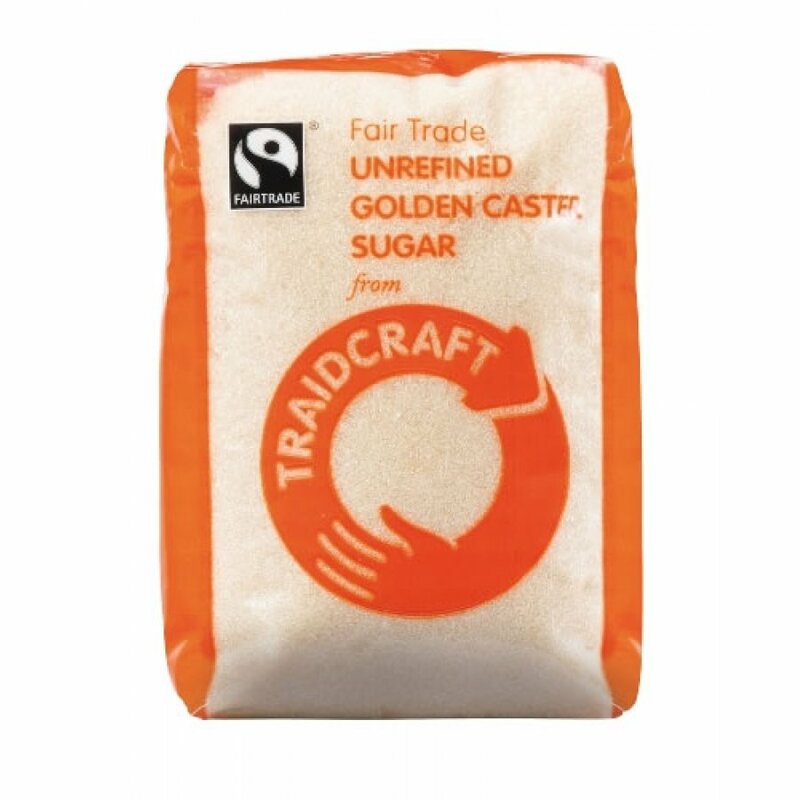 The Traidcraft Fair Trade Golden Caster Sugar - 500g product ethics are indicated below. To learn more about these product ethics and to see related products, follow the links below. Nice flavour and always look to buy Fairtrade sugar when available. Wish it was not packaged in plastic though. Hope they might switch to alternative packaging in the future. 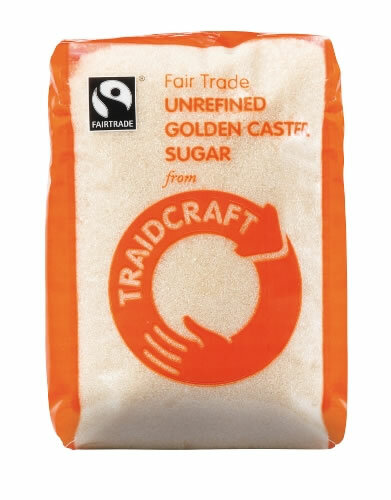 There are currently no questions to display about Traidcraft Fair Trade Golden Caster Sugar - 500g.